Prime Minister Vladimir Putin has made a move to win the hearts of sports enthusiasts by personally meeting a group of football fans over a glass of beer and promising them free air travel to the upcoming European Championship. 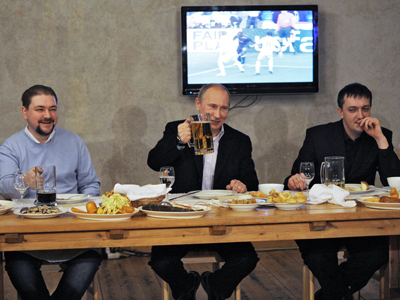 Putin met with heads of football fan clubs, together with FIFA President Joseph Blatter and UEFA President Michel Platini, in a beer restaurant in the center of Putin’s hometown of St. Petersburg. During the informal gathering, the Prime Minister touched upon particular issues that are a source of concern to sports fans as Russia gets prepared to host the 2018 FIFA World Cup. Putin, a leading candidate in next year’s presidential race, mentioned the need to improve road construction as one important aspect for hosting the event. "I'm confident we'll change the situation for the better by 2018 because we're obliged to do this," he said. The Prime Minister recalled that regional road maintenance funds were established last year and they were accumulating excise duties from the sale of gasoline. "I really hope these funds will work efficiently," Putin said, noting that the excise duty hike will add more than 90 billion rubles for road repair and construction by the year end. "Generally speaking, this is a good sum of money," he said. Putin also believes that "we must put to jail" the bureaucrats who are caught red-handed turning road construction into a personal bonanza. As for the upcoming European Championship being hosted by Ukraine and Poland, Putin said he would request that major Russian air carriers Aeroflot and Transaero provide football fans with free transportation to the games – possibly as some sort of advertising initiative. Putin then said he would dedicate his next newspaper article to the question of Russian nationalism – an issue that is increasingly being connected with football fans. Two years ago, football fans launched numerous rallies in Moscow after a Russian football fan was killed in a brawl with a group from Russia’s North Caucasus. 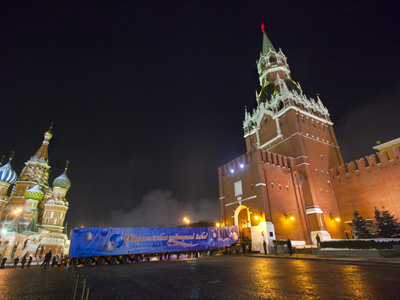 During the protests, several thousand people held a protest march right near the Kremlin. Police had to use force to prevent an escalation of violence between the two groups. 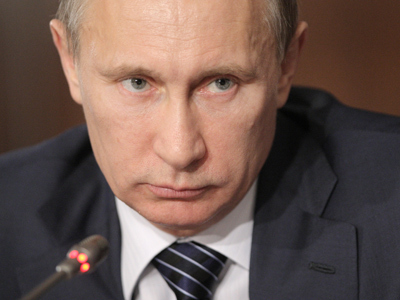 The article on national issue will be the second in a series of materials Putin plans to publish in the run-up to the March 4 presidential elections. Putin’s press secretary Dmitry Peskov said in an interview with RT that in the first article the Prime Minister explained why he was going to run for the presidency, together with his views on the main challenges facing our country. “And next week, we will all be expecting his new article that, as we recently learned, will be devoted to relations between nationalities inhabiting the Russian Federation. 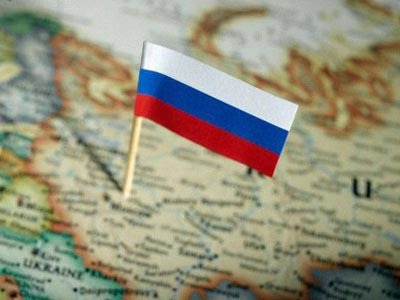 He considers this issue of international relations in Russia to be one of the most important, and vitally important for a federation. We’ll be anticipating the appearance of that article, in which we’re expecting the Prime Minister’s broad perspective on this issue,” Peskov said.